Milton Gala 2018 and Milton Dig! Arriving at the crest of an extraordinary heatwave, the 2018 Milton Gala was a scorcher! Organised and managed by the Mates of Milton community group, and held on the Milton Forge recreation grounds, the day was busy with food, fun, music, rides, displays, dancing, dogs (not dancing) and a great turnout from members of the local community in Hoyland, Elsecar and further afield. 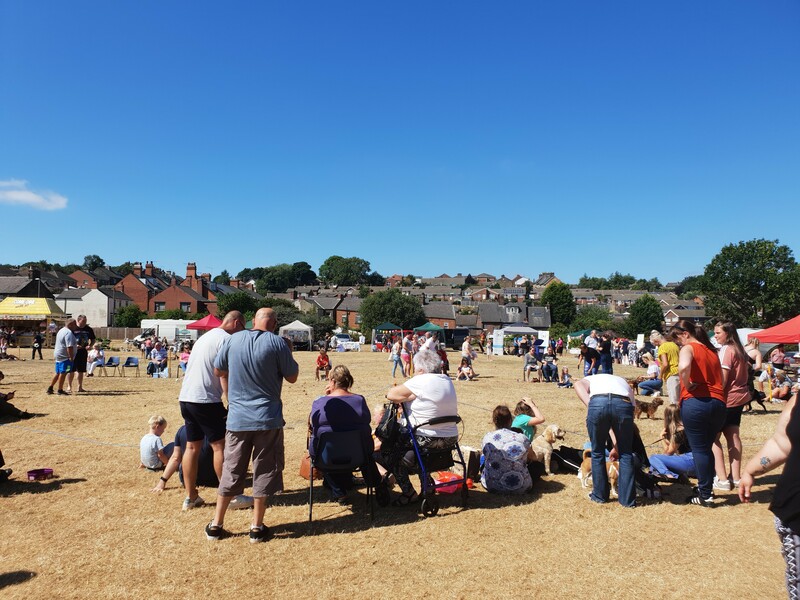 Beneath striking blue sky and the direct sun, the day was glorious; the parched grass like straw, turned yellow-brown, encouraging picnics and sunbathing, as well as gentle conversation as the crowds gathered to join in the fun on the upper field. 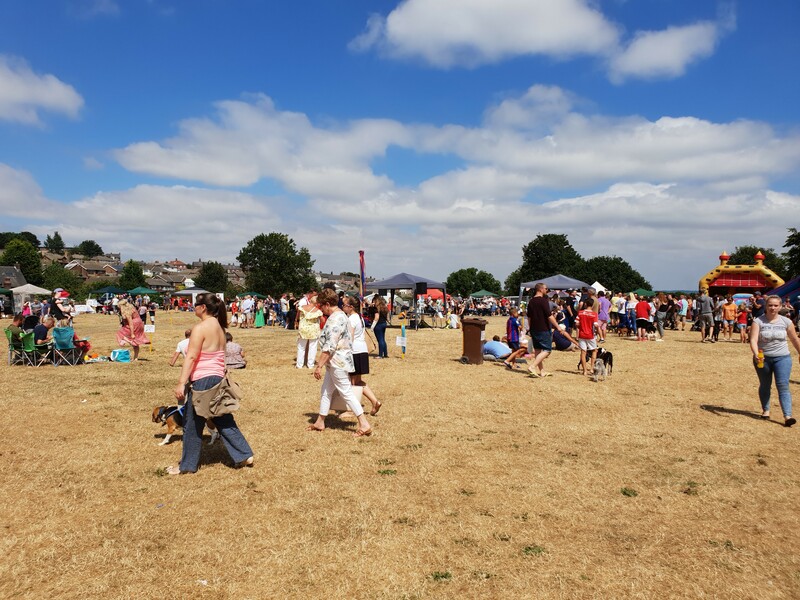 On the lower field, for the first time, a volunteer cordon for parking ensured no snarl ups, and encouraged everyone to enjoy the whole of the recreation ground. 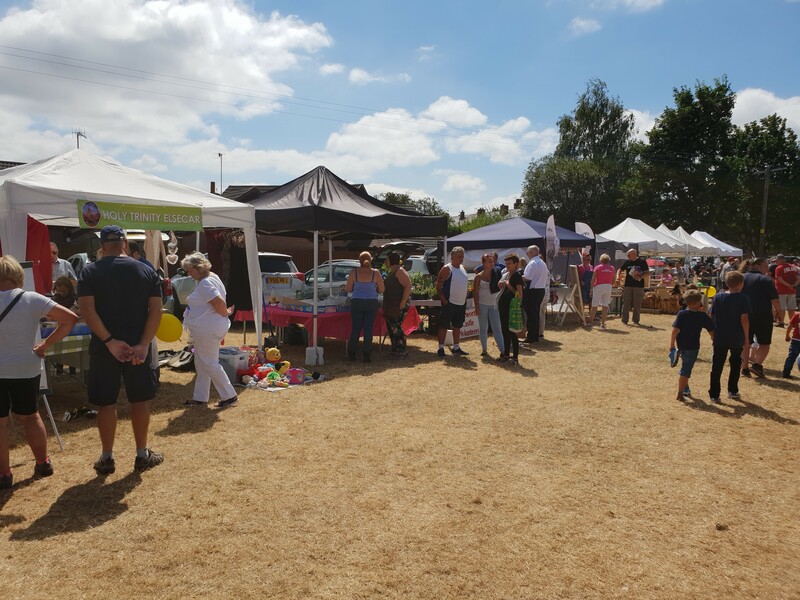 Young and old, families and friends walked around the Gala grounds, stopping to admire the shops and stalls surrounding the performance and display area. Local community, volunteer and faith groups were out in force, including Holy Trinity Church Elsecar, Wentworth Castle Volunteers and others, as well as a strong presence from the South Yorkshire Fire and Rescue service, with a fire engine on site and a rolling series of demonstrations on the dangers of domestic fires – leading to some spectacular flames! Amongst the stalls of books, plants, crafts, gifts and sweets, was the great group from Old Martha’s Yard Community Garden, just up Milton Road in Hoyland, tucked away behind the Belmont club, off West Street. 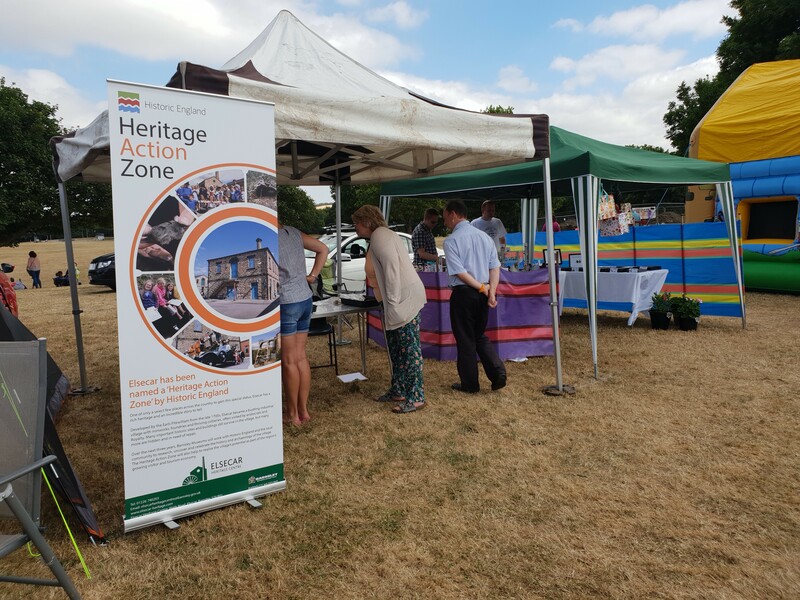 Also present was a joint stall hosted by the Great Place Wentworth and Elsecar team, with Heritage Specialist Megan Clement, together with the Elsecar Heritage Action Zone (HAZ) officer Dr Tegwen Roberts; both are experienced commercial and community archaeologists with a passion for sharing their expertise. The Great Place WE and Elsecar HAZ teams were on site to share the progress of their Milton Dig project – a two week community archaeology project on the Milton Forge fields to investigate the history of the site and any remains of the former Milton Iron Works which occupied the site from c.1799-1885. 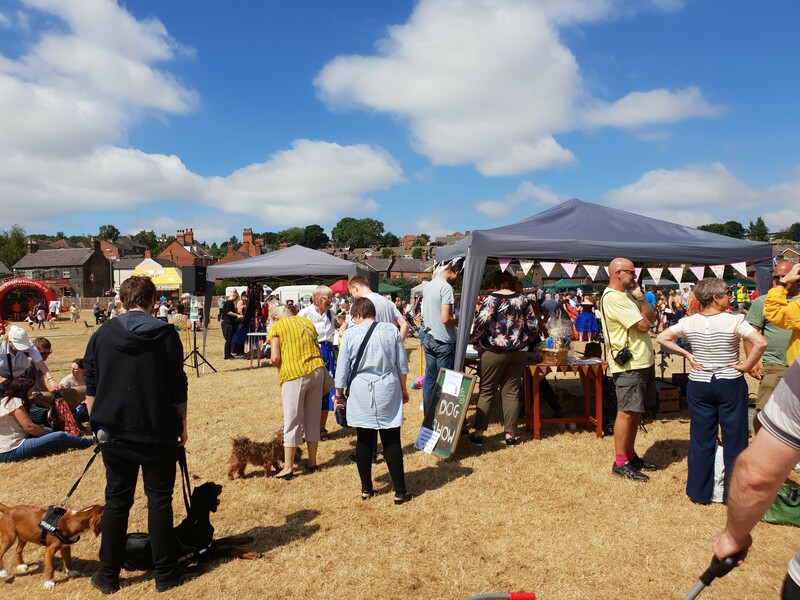 #MiltonDig – a community archaeology project from 16th-28th July 2018. Building on the findings of Historic England’s national Geophysics Team, who used a number of techniques to investigate the Milton Forge playing fields area, including caesium magnetometry and Ground Penetrating Radar (GPR). Linford, N.T., Linford, P.K., Payne, A. W., Elsecar, Barnsley: Report on Geophysical Survey, May 2017 (Report number: 62/2017), Historic England Research Report series ISSN 2059-4453 (Online). The Milton Dig project, from 16th-28th July 2018 was designed to excavate a number of features identified by the geophysics, together with indications of structures from old Ordnance Survey maps, and some archival plans from Barnsley Archives, to determine what if anything remains of the original iron works and ancillary buildings. 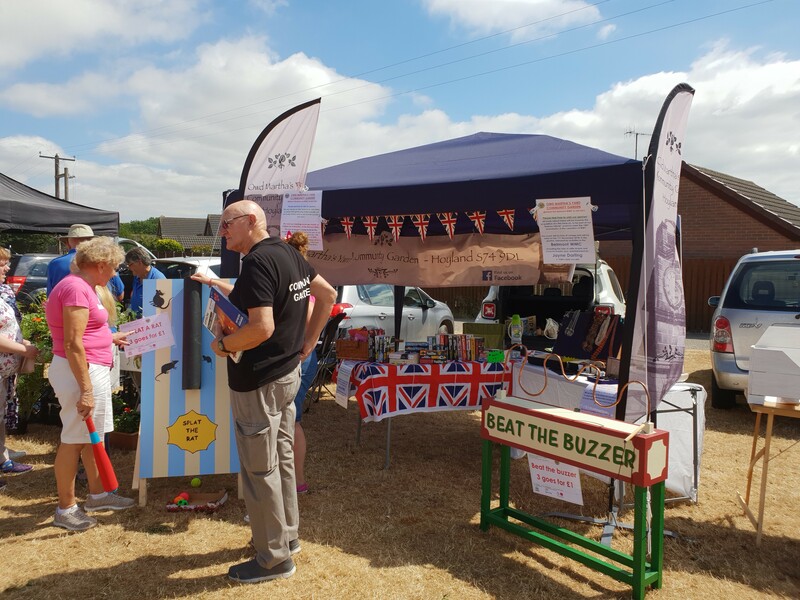 The Great Place Wentworth and Elsecar team worked closely with ElsecarHAZ project officer Dr Tegwen Roberts to design a programme of archaeological and creative activities. The dig itself was delivered by an experienced team from Arc Heritage, supervised by Richard Jackson. It also provided an opportunity for young people in the area to be inspired by their heritage, and the Great Places WE team enlisted local writer and poet Michéle Beck to lead creative writing workshops with local children during the dig period. 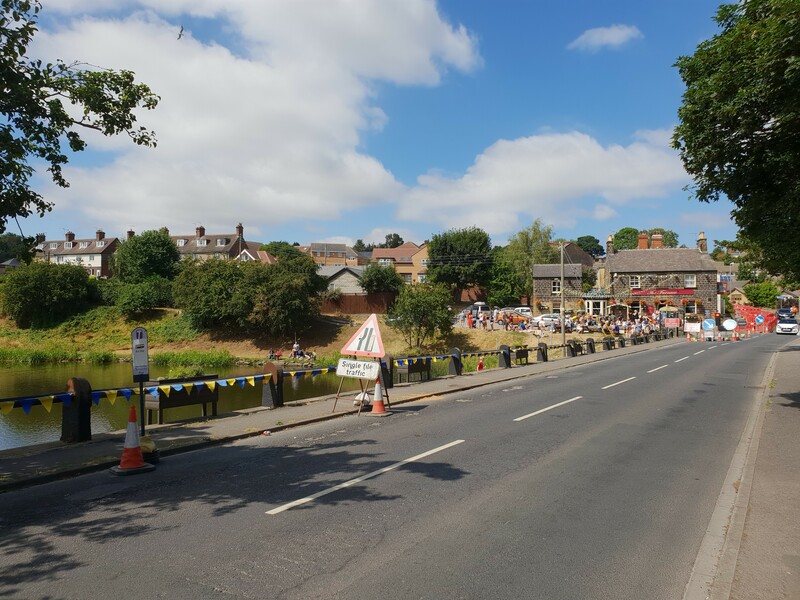 The Heritage Action Zone for Elsecar is a 3 year project resourced by Heritage Lottery Fund monies and led by Historic England to undertake new research into the area to reveal its heritage and help develop future plans for its visitor economy. The Great Place WE scheme brings together work by Barnsley and Rotherham Metropolitan Borough Councils with the resources and expertise of Arts Council England to engage and inspire young people locally with the creative opportunities of the heritage found at Wentworth and Elsecar, as well as arranging a series of fantastic events to remember in the two villages. 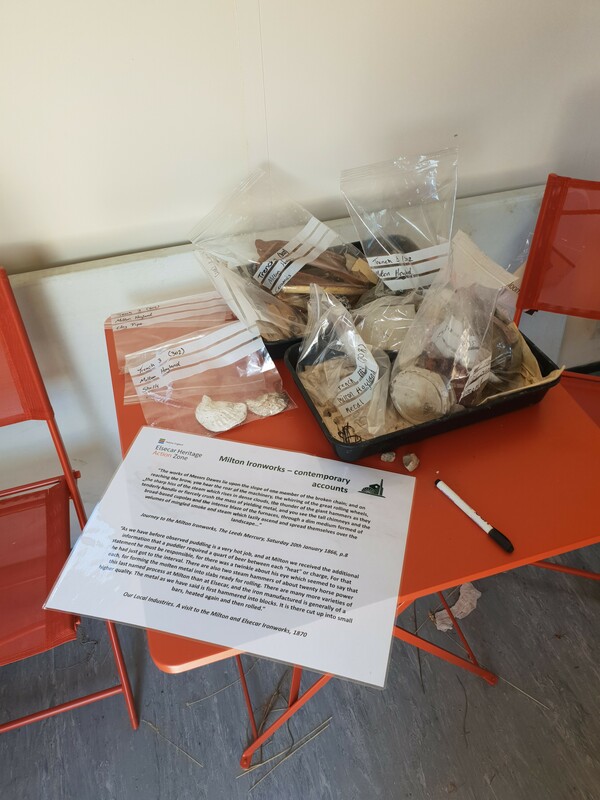 Local schools and members of the community were invited to come and see the dig and learn about the emerging finds as the work progressed. There were daily opportunities to volunteer on site, and many members of the local community, including families were quick to reserve a spot to get down in the trenches to see their history emerge first-hand. At Milton Gala, a highlight was a series of tours of the ongoing archaeology. Historic England Elsecar HAZ Project Officer, Dr Roberts led groups around the site, explaining the choice of excavation sites, and the emerging discoveries to date. The Friends of Hemingfield Colliery were delighted to visit and learn more about the history of the area, and how interconnected the collieries and ironworks were through the years. Elsecar HAZ Project Officer Dr Roberts explaining the context and understanding of one of the Milton Dig excavation trenches, showing the re-uses of the Milton iron works site in the late 19th through to the mid-twentieth centuries. Trench 1 at Milton Sunday 22nd July 2018, Careful excavation showing the many different levels of material filling to the current surface – the layers (stratigraphy) of the trench and the discovery of features including elements of a stone building (top-centre). Dr Roberts explaining the initial interpretations of Trench 1 in the Milton Dig excavations. 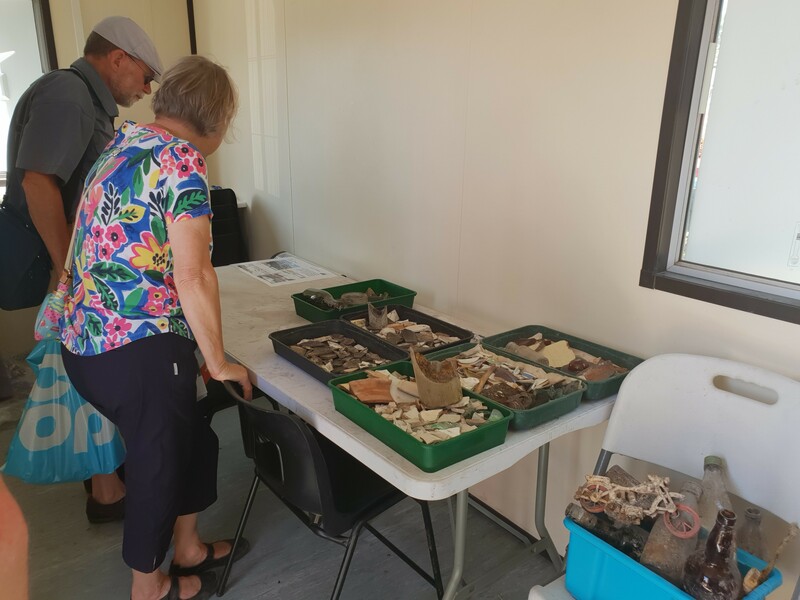 After explaining the progress of the Milton Dig to-date, Dr Roberts led visitors to the project cabin where the cleaned and sorted finds were bagged and tagged with individual labels, giving the trench and context numbers relating to where they were found. Introduction to the Milton Dig project, Megan Clement, Heritage Specialist, Great Place Wentworth and Elsecar.